I played this gift exchange right left game over Christmas, I had to share it! 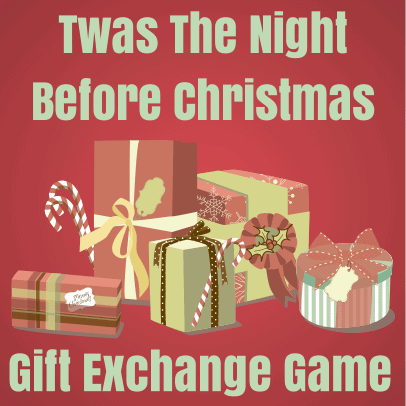 This unique gift exchange game uses the popular story of “Twas The Night Before Christmas” and turns it into a fun gift exchange experience that is sure to bring plenty of laughter to your Christmas event. Seat everyone participating in the gift exchange game in a circle. Each person should be holding their gift in their lap. 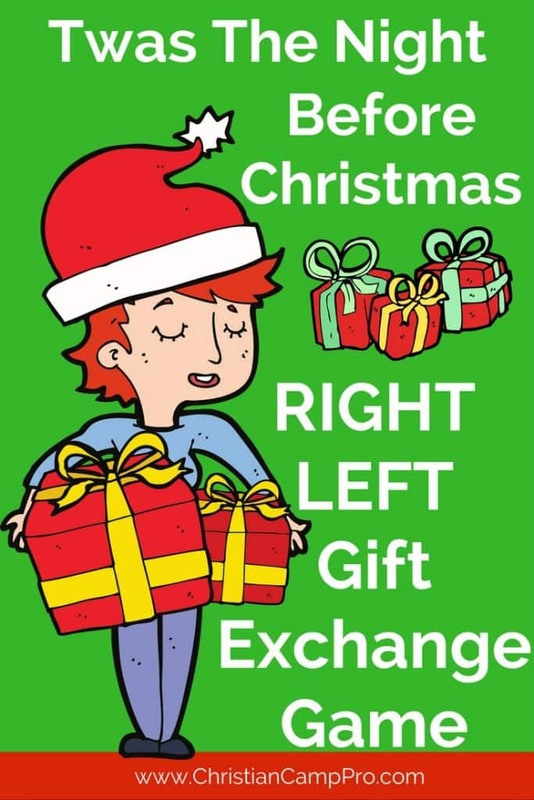 Instruct the participants that you are going to read a Christmas story and when you say the words “Left” or “Right” they should pass their gifts to the person on the left or right depending on the word you say. Not a creature was LEFT stirring, not even a mouse. In hopes that St Nicholas soon would be RIGHT there. While visions of sugarplums danced RIGHT around in their heads. And mama LEFT in her kerchief, and I LEFT in my cap. We had just settled RIGHT down for a long winter’s nap. LEFT the luster of mid-day to objects RIGHT below. I knew RIGHT in a moment it must be St. Nick! When they meet RIGHT with an obstacle, mount RIGHT up to the sky. The LEFT side of the chimney St. Nicholas came with a bound. His dimples? Oh, how merry! And filled all the stockings; LEFT to RIGHT then turned with a jerk. And giving a nod, he LEFT… Up the chimney, he rose. And away they all LEFT like the dawn of a thistle. As you can see this game is full of twists and turns. In the end, everyone will receive a gift other than the one they brought. It is fun to see everyone opening their gift at the end too. This game is ideal for a wide variety of Christian retreats and youth camps. We highly recommend it during Christmas time for ladies retreats and special Christmas church camps or meetings. Be sure to print this right left game to keep it with you during your various Christmas parties.